Our park is bordering the National Park and all the walking tracks in the National Park are within walking distance from our park. Some of the walks have the most stunning scenery like sandstone monoliths and weathered caves of vivid yellow and red ochres and some amazing flora such as king orchids and silver elkhorns as well as dry rainforest (unless wet). 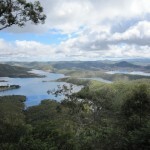 This bushwalk takes you to two lookouts with stunning views down the gorge. The first lookout “Gorge Lookout” is only 1.5 km from the picnic area and second lookout “Castle Mountain Lookout” is 11 km from the picnic area and gives you a spectacular view of Lake Cania. 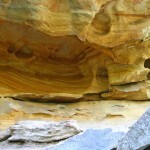 This short trail features a large brown image of a four toed foot on the white sandstone cliff. This trail starts only 50 mtr from our park. Crossing Doctor’s Gully several times, the track passes Fern Tree Pool (2.5 km) and continues at a moderate climb for another 2.2 km up a sandstone escarpment to the Giant’s Chair lookout. This walk is most easily walked in an anti-clockwise direction. Going down from the lookout you will pass some beautiful grass trees. This trail starts only 300 mtr from our park. The circuit meanders upwards around isolated sandstone monoliths. A 20m sidetrack leads you to King Orchid Crevice, an ideal haven for king orchids and silver elkhorns. 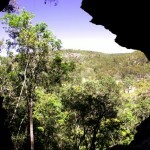 The top section of Two Storey Cave is important habitat for insectivorous bats. This trails starts only 900 mtr from our park. This track winds through eucalypt woodland and dry rainforest. At Dripping Rock, cool water that seeps from the sandstone creates a haven for ferns and mosses. 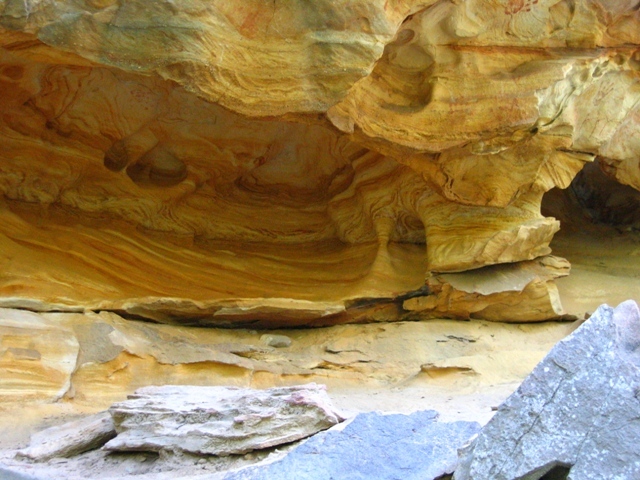 From Dripping Rock the track continues on past weathered caves of vivid yellow and red ochres, ending at The Overhang, where water has eroded the base of the sandstone cliff. This trail starts 900 mtr from our park. A moderately steep track leads to the cliff face, where a sidetrack branches north to Dragon Cave. Here, the natural black mural of a ‘dragon’ can be seen highlighted against the white sandstone wall. 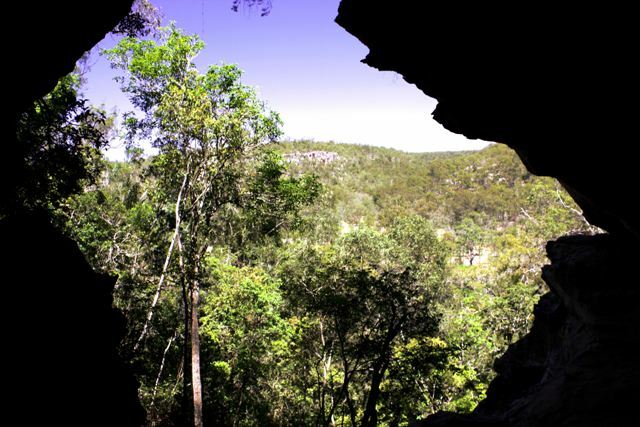 The track continues to Bloodwood Cave, so called because the roots of a bloodwood tree can be seen at the left hand side of the cave. A relatively easy walk with picturess views of Castle Mountain and remains of Gold diggings. It begins at the northern most carpark, about 1km south of Lake Cania. Please note fossicking is not permitted, however you will see where miners of old have sought their fortune. This is the only trail in the top part of the National Park and starts 10 km from our park.